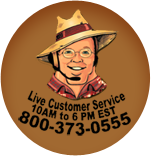 Thanks for your interest in Uncle Jim’s Worm Farm! I specialize in Red Wigglers – worm composting. I’ve been raising Red Wiggler Worms and Mealworms for over 40 years. I’ve raised African Night Crawlers, Canadian Night Crawlers and Gray Night Crawlers. However, I cannot find a tougher, quicker breeding and easier composting worm to raise than the Red Wigglers in a worm bin! 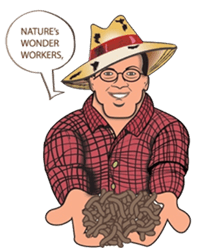 Your favorite Red Wiggler worm composting supplier!